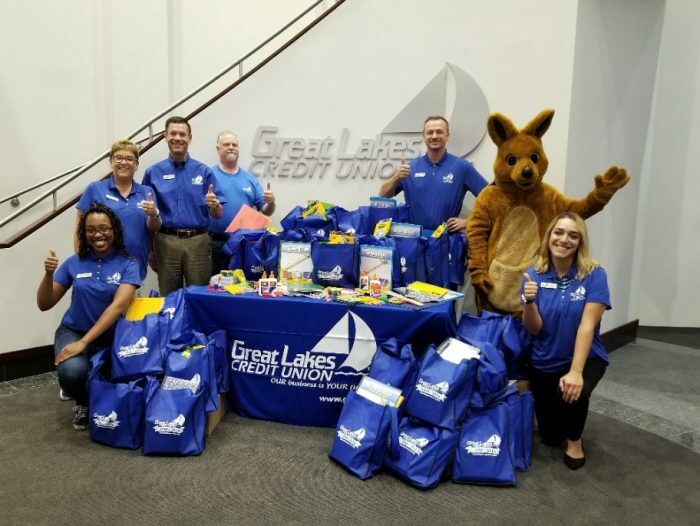 BANNOCKBURN, IL (September 5, 2018) — Great Lakes Credit Union (GLCU) delivered much-needed school supplies to local elementary and middle schools. Staff gathered lists and off they went shopping. Deliveries were made August 28 – 30 to schools throughout the Chicagoland area – just in time for back to school! Hillcrest Elementary, Antioch; Richard Bernotas Middle School, Crystal Lake; Olsen Elementary, Woodstock; Oakview Elementary, Bolingbrook; Scott Elementary, Naperville; Markham Park Elementary, Markham; Woodland Middle School, Gurnee; Avon School Center, Round Lake Beach; Evelyn Alexander School, North Chicago; Oakdale Elementary, Waukegan; and Shiloh Park Elementary, Zion. Jasmine Taylor-Newton, Yvonne Bailey, Steve Bugg, President/CEO of Great Lakes Credit Union, Paul Monahan, Nick Mager, Kirby and Donna Beltran gathered school supplies for 11 schools throughout the Chicagoland area. 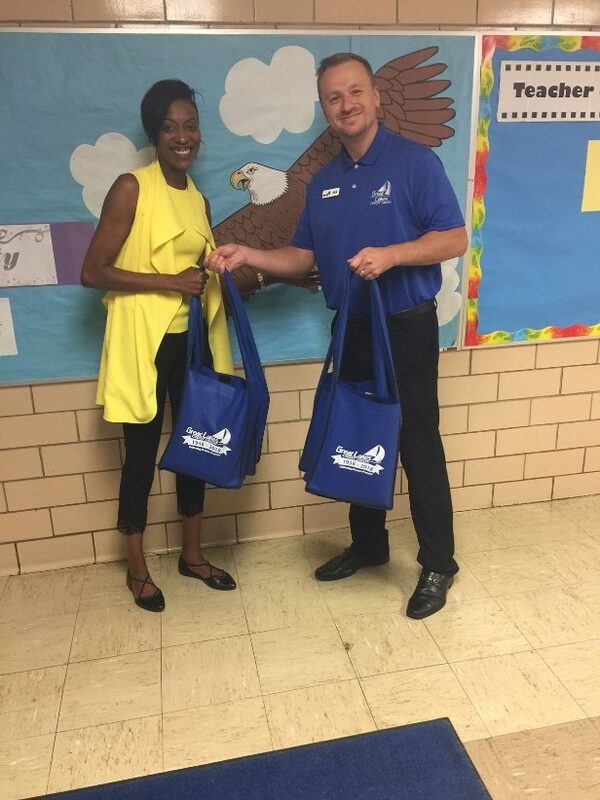 Nick Mager, Business Development Manager donates school supplies to Principal Tiffany Rucker of Markham Park Elementary School.